This one really hit home when I read it. People always look so surprised when I tell them I have a temper. They can’t imagine it, and that’s because I tend to only show my temper around people I feel will love me and forgive my short comings in my darkest hours. So most times in my day to day encounters I tend to come off as very calm and patient. I’m not. I am often ruled by my emotions, especially when I feel something is unjust or that hurts my feelings. Being tired inevitably tends to be the foundation where my anger resides. And so when I read this I felt embarrassed. Ashamed. Because I have had so many moments where I let my exhaustion and stress fuel my temper. So I felt embarrassed as I read this passage from Positive Outlooks and I realized it starts with something so simple such as taking a moment to pause. 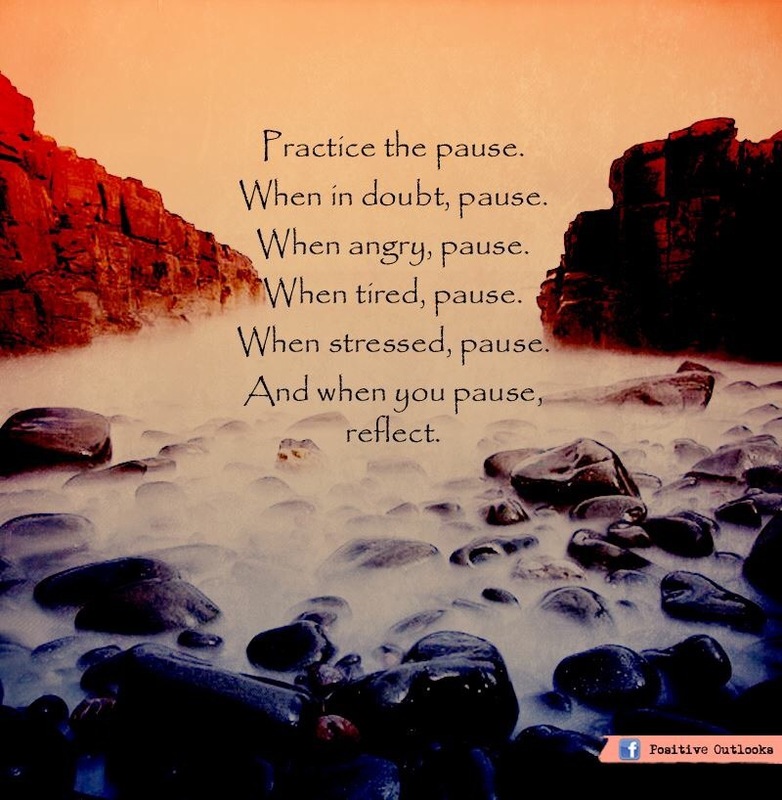 I need to pause, and I truly long for the moment where I can openly reflect on my reactions and make improvements.